Released in 2014, or 2015 ? Well, the movie had a premier in Germany in December 2014 and was released in the United States in January, 2015. For those fans of the previous version of the movie, the movie was something that they had to watch. And you knew there was going to be a sequel. After Taken 2, it was supposed to be that there would not be another version of the movie, but movies that have made money and developed a sort of cult get pushed to make more money, and you do that by releasing another sequel. 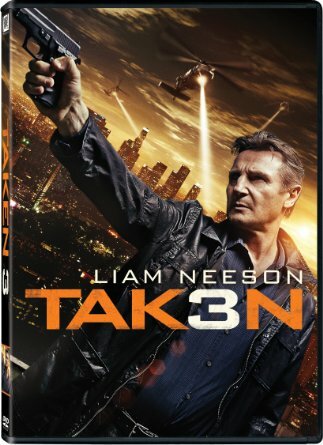 So, Taken 3 was planned and had a similar kind of approach. You have this former special agent, Bryan Mills, who has his own special set of skills (quick work, explosive action and an intellect that allows him to work out situations and take action accordingly); and with his family in danger in Taken 1 and Taken 2, you expect that there would be action, killings (the way he operates, he can kill people very quickly and quietly and in numbers, and all without emotion). The movie operates the same way. His ex-wife (Lenore, played by Famke Janssen) is running into trouble with her current husband Stuart and there is sort of an expectation that maybe she will finally get back with Bryan, and the emotions unleashed by the events of Taken 2 might have pushed that forward. He is already on pretty good terms with his daughter Kim (played by Maggie Grace), and there is some movement forward in terms of reconciling the family again. And then the disaster, (Bryan has a plant to meet with Lenore for breakfast with bagels) and finds that Lenore is dead. The police are on the scene, and he is the prime suspect, and the ex-husband bit and all would play to the suspicious nature of police. He is taken by them, but as you would expect, that does not continue for too much time. He breaks free from them, and moves to a safe house where he tries to determine as to the sequence of events. He is able to do some reconstruction, but then police arrive at his safe house as well. He again manages to escape from the police in their vehicle and starts doing more research, including using access to police records. He contacts his daughter and removes a surveillance device that was on her, and learns that Stuart is becoming more tense and watchful. He goes through more adventure, including a car crash down a cliff, and catches Stuart, learning from him that the murder was carried out by an ex-Spetsnaz operative called Oleg Malankov (played by Sam Spruell). After much confrontation and a gun battle, Bryan learns that Stuart was playing a double game. He wanted the proceeds of a 12 Million Dollar insurance policy and needed Bryan to take the blame. Bryan finally manages to capture Stuart and hand him over the police, who in turn decide that Bryan was innocent and let him go. The movie was all action, and the editing and flow could have been better - if you are a fan of Taken, you would not mind since the action is there. 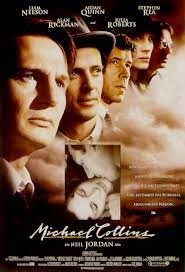 And Liam Neeson is there, as in the other Taken movies, raising the movie to a watchable one. However, the movie was panned by critics, but it was a commercial success, making more than 5 times the budget of the movie. 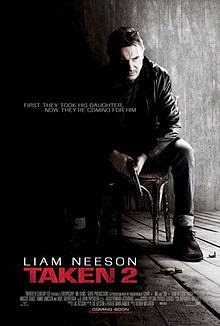 Taken was an interesting movie and a big hit. The concept of having an unlikely superhuman type of character (wrapped in the body of a normal person, although with a highly skilled background) who is possessed with getting his daughter back from whoever had kidnapped her, proved to be a package that was very interesting for viewers, and the movie was a hit, both commercially and with critics. Liam Neeson was an unlikely looking extra-ordinary man, who when faced with a kidnapping happening in another country, is able to figure out what to do and start executing on such a plan, was fun to watch. And when he started on his killing spree, using guns just like that, or when he wired up the main kidnapper to electric cables for interrogation, all of that was attractive to viewers (he was trying to get information about his kidnapped daughter, wasn't he?). However, all such movies have a loose end - he killed a number of people, won't their folks want revenge ? Well, Taken 2 is based on the concept of the family members of the killed villains wanting their revenge, and they are also ruthless in terms of this revenge. So, when Marko was killed, strapped to an electric cable and died of electrocution, his father wants revenge and promises that he will get the killer back to Albania, to suffer as the family of Marko has suffered. However, it is not clear as to who the killer is (after all, Neeson had killed almost everybody in the first movie), so Marko's father, Murad, goes to Paris, looking for the former intelligence friend of Neeson whose card was found near where most of the people were killed. He gets some information from this guy and then kills him and his family, and is now on the hunt for Neeson and his family. Neeson is in Istanbul for a piece of work, and finds Lenore (ex-wife) and Kim (daughter) ready to surprise him over there. And then the action hots up. Kim wants Lenore and Neeson to go out for lunch while she would remain the hotel. However, Neeson spots them being tailed, and this starts the explosive action. He has to give up when Lenore is captured, but is able to warn Kim off, who just manages to escape the people hunting for her at the hotel. Later, when he has been captured, he is able to use a hidden phone (they did not search him for a hidden phone) to tell Kim to go to the American Embassy, but she refuses and persuades him to let her help, and he agrees (another weird thing, agreeing to put his daughter in danger). In the meantime, to make him suffer, Murad cuts Lenore's neck slightly, enough for her to bleed and hangs her upside down so that she can bleed in front of him. The next part is fun - he tells his daughter that she has to explode grenades at regular intervals through which he will be able to use the sound to determine the location where she has to go to (seems a bit out of the world for me, but am not an ex-CIA operative, so maybe I do not know enough). She finally arrives at the house where he is, and he is able to get out and take Kim with him, but Lenore is recaptured. Finally putting Kim in the safety of the US embassy, he is able to retrace the path and find where Lenore is, and after dispatching every other bad guy, he is finally left with Murad in front of his gun. He offers to let Murad go to end this killing urge, but when Murad agrees and then tries to kill him, he kills Murad (but thankfully, this does not form the basis for Taken 3). The movie made a lot of money and the performances were also appreciated, but the surprised of the first film always makes it more difficult for the second film. Even though stuff such as using grenades to get location was a twist, the movie still seems to follow a regular script. You will like it if you like action, but it is not the same as the first version. 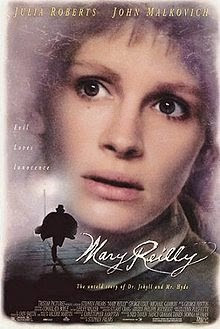 Released in 1996, Mary Reilly is based on the novel of the same name by Valerie Martin. The book is also loosely based on and inspired by the Robert Louis Stevenson’s “Strange case of Dr. Jekyll and Mr. Hyde”. As in the novel, the movie follows the story of a simple house maid played by Julia Roberts, and her attraction and revulsion of her Master, Dr. Jekyll, played by John Malkovich. Directed by Stephen Frears and written by Christopher Hampton, the movie has brought back together the same team well known for the Oscar winning movie Dangerous Liaisons. The other actors in the movie include Glenn Close, George Cole, and Michael Gambon among others. The movie begins with the blossoming friendship of Dr. Jekyll (John Malkovich) and his servant, Mary (Julia Roberts). But when Dr. Jekyll announces that he has hired an assistant, the entire house is abuzz with confusion and speculation. Days go by, and the staff, Mary included try to fathom the mystery of Mr. Hyde, Dr. Jekyll’s new assistant. A little more Goth and sinister twists are added, when Mary is asked by Dr. Jekyll to deliver a letter to Mrs. Farraday at the whorehouse. She is to let a room for Mr. Hyde. Mary like the rest of the staff is curious as to Mr. Hyde’s habits. And one day she follows him into Dr. Jekyll’s lab, where she sees him handing over a cheque for blood money. However, in an attempt to escape so as to go unnoticed she hides in the lab, only to find the exit locked. When Hyde discovers her he merely smiles at her and hands her the key. The following day, when a hurt Dr. Jekyll sends her to Mrs. Farraday with yet another letter, Mrs Farraday is furious. She shows Mary the room she had let to Mr. Hyde. It is covered with blood everywhere including the ceiling. She returns to Dr. Jekyll with a blood stained handkerchief of his from Mrs. Farraday and a message from the madam demanding that Dr. Jekyll do whatever is necessary to cover up the matter. Mary finally meets the enigmatic yet mysterious Mr. Hyde and realizes she is drawn to his passionate side. Jekyll asks Mary to go on an errand with Hyde, where they get talking and get to know each other. Hyde taunts her by telling her that Jekyll finds her very attractive. Over time they get to know each other. One day Mrs. Farraday comes over to meet Jekyll and demands more money from him in order to continue maintaining her secret. The argument between the two continues and Mary who has overheard the conversation steers clear of it by heading to the garden to water the flowers. However, she notices the light in the lab go out. And when she goes to investigate, all she sees is a pool of blood on the lab table. However, she does not see Hyde who is hiding after having committed the murder of Mrs Farraday. A little while later Mary receives news that her mother has passed away. And she heads out to make arrangements. However, she is grabbed by Hyde who was hiding in an alley after being chased by the police. When she returns to the house, she is questioned by the police in the matter of the death of Member of Parliament, Sir Carew, who incidentally also happened to be a school friend of Dr. Jekyll. She tells them nothing. But the police are suspicious especially with so many deaths surrounding Dr. Jekyll. However, later Dr. Jekyll tells Mary she should not have covered for Hyde and that he is removing Hyde from his employment. But Mary is stunned to find Hyde the next morning in Jekyll’s bed, especially since he had been dismissed. She tries to raise an alarm, but is stopped by Hyde who then reveals that Jekyll and he is one and the same person. And that Jekyll turned into Hyde every time he would take a serum for his depression. In order to return to Dr. Jekyll, Hyde would inject himself with the antidote. Hyde makes his advances on Mary wishing to make love to her. However, a very shocked and stunned Mary then demands to leave. She returns to the kitchen contemplating what to do next when Dr. Jekyll enters and demands that another assistant take a sample of the serum to the lab to have it analyzed and also to have certain changes made in it successfully. However, the assistant returns with no success on the matter. In the meantime, Mary decides to leave the establishment. She packs her things and on her way out decides to stop by the lab. However, when she enters, she is attacked by Hyde. But he doesn’t kill her. Instead he injects himself with the antidote. She witnesses how Hyde transforms back into Dr. Jekyll. Jekyll tells her that Hyde had added a poison to the antidote, and dies in her arms. The last shot of the movie focuses on Jekyll the next morning, who though was dead, has transformed into Hyde and is awake and smiling. The movie has a dark, gloomy feel to it. It draws it viewers to the gothic, frightening world which was captured in the writings of Valerie Martin. While it is loyal to the original, it is in many ways better than Robert Louis Stevenson’s version, mainly because it does not focus of Dr. Jekyll turning into some sort of “Wolfman”. Neither does it focus of theatrics. What it does successfully achieve is the belief of something evil, and one woman’s psychology of finding both good and evil in one man. All the performances are restrained. Julia Roberts doesn’t have many dialogues but successfully portrays a woman who is naïve and innocent yet comes from a tormented past. John Malkovich portrays Hyde and Jekyll with not much difference excepting the presence and lack of facial hair as Jekyll and Hyde respectively. The sets are vast, magnificent yet overbearing all at once. But overall, Frears has successfully accomplished what he had set out to achieve, and that is trying to create a film which is visually appealing and free from stereotypical clichés of present day horror movies. A historical biopic which was released in 1996, Michael Collins is based on the life and war efforts of the Irish Patriot and revolutionary, Michael Collins. Directed by Neil Jordan, the movie offers viewers a glimpse into the Irish Republican Army’s fight against the British Empire. The star cast includes Liam Neeson, who plays a very convincing Michael Collins, Aidan Quinn as Harry Boland (Michael’s closest friend and compatriot), Julia Roberts as Kitty Kiernan, the love interest of both Michael and Harry, Ian Hart as Joe O’Reilly and Alan Rickman, as Eamon de Valera, among others. The movie opens in 1922, with Kitty Kiernan mourning the death of Michael Collins, and Joe O’Reilly attempting to console her. From there it flashes back to 1916, when Collins and his compatriots were captured by the British Army. The movie portrays Collins’ foresight and innovation as a leader, especially when he is shown to be telling Boland that next time they would not play by the British rules, but rather make up their own. The movie shows how Collins recognized the need for guerilla warfare and the pointlessness of conventional attacks. However, de Valera strongly opposes his tactics and supports the conventional rules of fighting with the British. After Collins’ release from an internment camp, he is conducting a rally when it is attacked and he is injured. His friend Boland rescues him and together they hide out and recoup at a friend’s farm. That is where they meet the pretty Kitty, who begins a romance with Boland. Their struggles continue, and soon Collins receives a tip that the British are going to arrest de Valera and the Cabinet. De Valera has other ideas which do not include going into hiding. He believes that if they are arrested there would be a huge outcry from the public, demanding their release. The Cabinet is arrested, but Boland and Collins manage to escape. However, de Valera sees it as a threat when he realizes that in spite of being arrested, there was no protest from the public, all because Collins was not imprisoned. After Collins and Boland break Valera out of prison, he insists on meeting with Woodrow Wilson in US so as to seek recognition, and asserts that Boland should travel with him. Once Valera leaves for the United States, Collins is left in charge and he orders the IRA to carry out various surprise attacks, which put the IRA at an advantage. However, when Valera returns, he insists they go back to conventional formal military attacks. Collins advises him against it, but not heeding Collins advice, Valera goes ahead with an attack on The Custom House, which fails badly, with many IRA members killed and captured. Worried that the IRA are on their last leg, Collins is surprised when the British call a cease fire. Valera then orders Collins to go as a negotiator to England, knowing fully that Collins is not one. And when Collins returns after having signed an Anglo-Irish Treaty (1921) Valera is enraged that he was not told of the terms of the Treaty before it was signed. Collins argues for the treaty, while Valera and his supporters are staunchly against it. Both the sides try hard to sway the Irish public in their favour. When anti-Treaty Republicans attack Collins, he barely manages to escape. In the aftermath, he further solidifies his already blooming relationship with Kitty, who throughout the movie is shown to be torn between the two men. Collins asks her to marry him and she accepts. Finally the Irish people vote to approve the Treaty. However, Valera refuses to accept this and orders the IRA to fight against its former comrades. Collins who is now Chief of Staff of the National Army hates that he has to stand up against his fellow compatriots all because of Valera. But the Treaty had been signed, and as a result, the Irish Free State Army is given an ultimatum to deal with IRA, or else the British Army will. Despite Collins attempts to capture his long standing friend and compatriot Boland, he gets killed while trying to escape. Distraught by his friend’s death, Collins tries to reach out to Valera to try and arrange a peace treaty. However, without the knowledge of de Valera, an arbitrator informs Collins that Valera is willing to meet. Collins walks right into a set up where he is killed. The film ends with Collins’ funeral. While the movie shows Collins in a heroic light, it is de Valera’s character which is portrayed in a rather weak light. It may be true that he was responsible for some of the tragic events that took place, but to cast him as an enemy of the Irish state on equal footing with the British is a tad too controversial. However, overall, the movie and its focus on Collins throw some light on the Irish struggle. The movie also argues that if Collins had not died he might have succeeded in uniting Ireland and saving many lives. The only area the movie falls short of expectations is the romantic angle or rather triangle between Collins, Kitty and Boland. The romantic scenes only serve as a break from the movie and not much else. But on the whole, the movie is well made, and worth a watch, especially to understand the heroism of Collins and his struggle for a united, liberated Ireland. A 1991 fantasy movie directed by Steven Spielberg, Hook is based on the concept and idea of the beloved children’s book character - Peter Pan, growing up. 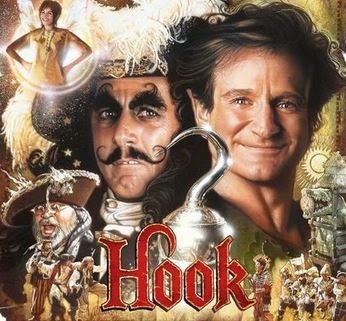 A multi star cast movie with Robin Williams as a grown up Peter Pan (known as Peter Banning in the present day), Julia Roberts as Tinker Bell, Dustin Hoffman as Captain Hook, Maggie Smith as Granny Wendy, Bob Hoskins as Smee, Amber Scott and Charlie Korsmo as Peter Banning’s kids, and Caroline Goodall as Mrs Banning; Hook serves as a sequel to Peter and Wendy (1911). One night when Peter and his wife are out celebrating, Captain Hook abducts Peter’s children and takes them to Neverland. Peter comes home to find his children missing. Later that night, Tinker Bell confronts Peter and forces him to go back to Neverland with her to save his children. But, seeing a grown slightly out of shape Peter Pan, agitates Captain Hook who wants to kill Peter and his children. Finally, Smee reasons with Hook and deduces that spending a long time away from Neverland must have wiped away Peter’s memories. At the same time, Tinker Bell pleads with Hook to give Peter 3 days to prepare for a fight against Hook. With 3 days granted to him, Peter and Tinker Bell go to the Lost Boys’ Home to prepare. None of the boys there believe him to be Peter Pan and go all out to try and humiliate him. Meanwhile Hook tries and turns Peter’s children against him, by feeding lies. While his daughter stays steadfast in her belief that her father will save them, Peter’s son Jack looks to Hook as a father figure. Through his journey back in Neverland, Peter discovers himself again, the time he had spent as a child in Neverland with Tinker Bell, the mistakes he has made in his adult life and the true value of family. After 3 days he readies himself for a fight against Captain Hook, with the support of the orphans and Tinker Bell. He saves his children, defeats Hook and goes back to London to celebrate with his family. While the movie is a good concept, the promise of magic (considering it is a Steven Spielberg movie) leaves a lot to be desired. With the famous white light that sparks off outside his window, waiting to take Peter back to Neverland, as a viewer, we hope for a view of the lush green island full of fun, magic and surprises. But Neverland fails to deliver. With more red-brown tones used throughout the island, Neverland feels more like it is witnessing a terrible draught. Also, there are too many props and too much happening on the costume front. The set looks exactly like a studio set, and not an exotic magical island. Most of the actors, including Hoffman and Roberts perform their parts more as a duty than something exciting. Robin Williams struggles hard to keep the magic alive, and he does succeed to an extent. But, one actor can do only so much to keep the magic alive. The fencing scenes between Williams and Hoffman towards the end leave a lot to be desired. Almost all Asian movies have tremendously better sword play than the one choreographed for this movie. All in all, the movie is worth one watch, specifically for the younger audience. But, with a storyline that starts off with a magical character having grown up, one does expect a lot more than what is delivered. 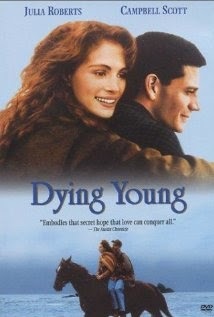 Based on a book of the same name, written by Marti Leimbach, Dying Young was directed by Joel Schumacher, and released in 1991. This romantic comedy, before its release, was pinned as one of the biggest blockbusters to release in the summer of 1991. However, after its release all it got was negative reviews. The star cast included Julia Roberts and Campbell Scott among others. The movie opens with Hilary (played by Julia Roberts) making it plenty clear that she has next to no luck in the love and work department. Having broken up with her cheating boyfriend, Hilary, who now lives with her mother (played by Ellen Burstyn) decides to answer an ad in the papers, for an attractive woman with little (or no) work experience. Dressed in a red miniskirt, she decides to go try her luck for this job. Without even an interview she gets selected to take care of a young man, who is shown to be battling leukemia. Donned with the duty of taking care of Victor Geddes (played by Campbell Scott) who is a 28 year old, rich and well educated man, Hilary becomes his live-in caretaker. However, she isn’t sure whether she is up for the task especially after having seen his reactions to chemotherapy. But, obviously she rises to the challenge, reads up on leukemia and tries to be a better homemaker/caretaker. Over time, it is shown that Victor’s chemotherapy is complete and the two head down to the coast, where Victor has yet another home. All this while, Victor’s father hasn’t been given a strong role. He is shown to be indifferent at the most. The happy couple continues to live on the coast where their relationship evolves to love, all the while Victor doesn’t share with Hilary the fact that he has been taking morphine to hide the pain and that his chemo hasn’t actually been completed. However, during one dinner party with friends, when Victor acts aggressively and later collapses on the floor, Hilary rummages through the garbage and finds the syringes. She confronts Victor and finds out the truth. She calls up Victor’s father and tells him everything. He promises to pick up Victor in the morning and take him to the hospital. Hilary and Victor have another talk, and Victor convinces Hilary that he will go back but wants to stay for one more party. Hilary agrees and goes to call Victor’s father to let him know, only to come back and find Victor packing his back in order to flee. Yet another confrontation and “supposed to be” emotional declarations of how Victor has lost hope and Hilary loves Victor, take place. Hilary however finally convinces him to fight and get back to his chemotherapy. The movie closes with the two of them walking out of Victor’s house to go to the hospital. Although nobody actually dies in the movie (young or old), the characters and their constant dribble of self-pity does make the audience die a little bit inside. The plot has a vague similarity to Pretty Woman, but without the fun elements or Julia Roberts contagious and vivacious attitude. While the movie is about a young man, his relation with his caretaker, and how they fall in love while he learns valuable life lessons from her; it fails to create the same warmth and humor as Pretty Woman. Since Campbell Scott fails to generate any warmth or sympathy for his character, it would be wrong to blame Julia Roberts for lacking humor and vibrancy. The filmmaking itself is not too great, with dramatic effects being thrown in, without actually being seen through. Overall, the movie got negative reviews and after painfully sitting through more than one and half hours of this movie, one can understand why. Released in 1991, this psychological thriller is based on a novel of the same name, by Nancy Price. Directed by Joseph Ruben, the movie’s star cast includes Julia Roberts, Patrick Bergin and Kevin Anderson. Even though it was a box office success, the movie received many negative reviews. Especially since the beginning of the movie raises expectations of the viewer, only to make it come crashing down through the remaining one and a half hours of the movie. The plot of the movie starts off with some hope. 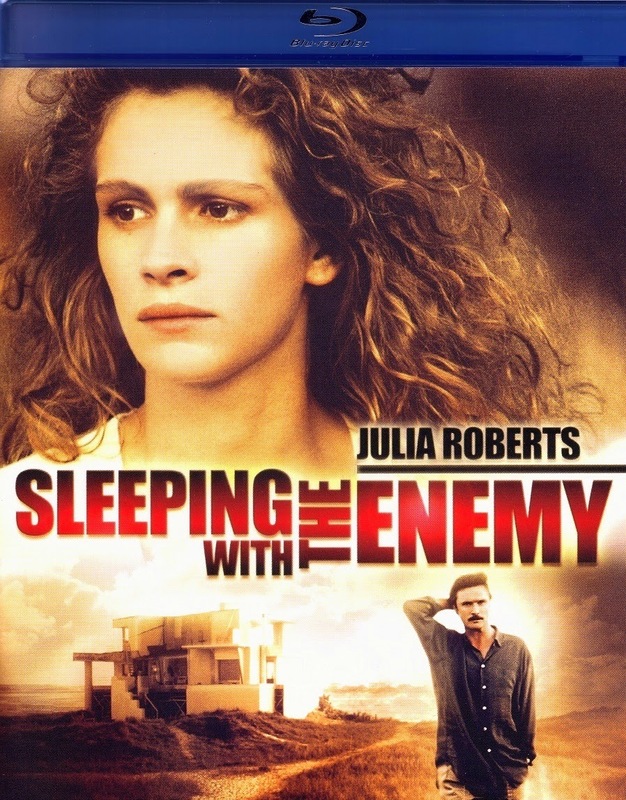 Laura Burney (played by Julia Roberts) is the wife of a millionaire investment counselor, Martin (played by Patrick Bergin). However, everything in their fancy beach house is not hunky-dory. Trapped in a marriage where she is used as a trophy wife, and then abused at home on account of Martin’s Obsessive Compulsive Disorders (OCDs) Laura is looking for a way out. She decides to fake her own death by pretending to have drowned in an accident, when the two of them go boating. However, having made it known to Martin that she cannot swim, Laura pretends to have drowned and then heads home to grab her “go away” bag and flush her wedding ring down the toilet. She moves to Iowa, under a new name. She even had Martin believe her mother is dead, and then gets her shifted into a nursing home. In her new set up under a new name, she befriends her next door neighbour, Ben Woodward, who also happens to be a drama teacher at the University of Northern Iowa. But soon has to confide everything in Ben, since he finds out that her new identity is not real. While her life seems to be gradually getting better, Martin gets a phone call at the office from the YWCA about Laura. From that phone call he learns that Laura had secretly been taking swimming lessons, and his doubts start to play up. He goes home and somehow finds the wedding ring in the toilet bowl. It apparently did not get flushed when it was supposed to. He then tracks down Laura’s “supposedly dead” mother and manages to pry information, about Laura’s current location, from her. He then follows Laura who is seen with Ben to her home. But, before he does so, he visits Laura’s new home and in rearranges methodically Laura’s towels and kitchen shelves in a very “slasher-meets - obsessive compulsive behavior man” kind of way! Laura sees these rearrangements and begins to get worried. Martin having followed Laura and Ben home from a local fair, confronts her while brandishing a gun. What follows is typical, with Ben trying to intervene and getting knocked out in the process. Laura struggling with Martin, somehow managing to get the gun in her control and finally shooting him, after placing a call to 991 stating she has an intruder in the house. Only Martin isn’t dead, and he tries to take the gun from Laura and shoots. But thankfully by then the bullets in the gun are exhausted along with the audience’s patience. Martin finally dies and Laura and the now revived Ben hug over Martin’s dead body which was holding Laura’s wedding ring. Having started with some pretty impactful scenes, the movie raises the expectations of the viewer. But, soon it turns into a typical slasher movie. And halfway through, it goads the audience to do the one thing they should not do in such movies, and that is try to find logic. For example, why did that ring not flush itself? Or was that toilet left unused for so many days? Or why and how did the YWCA call up Martin on his office number? Or even what was the point of Martin tracking down Laura only to rearrange towels in her new home? The movie seems watchable if one keeps their brains aside and doesn’t ask too many questions. But in complete fairness, all the actors have done a wonderful job, especially Julia Roberts as the battered wife looking for a way out. The movie could have been a lot better, and in the opening it feels like it probably is. However, it just seems to miss its mark and falls a bit short of expectations.